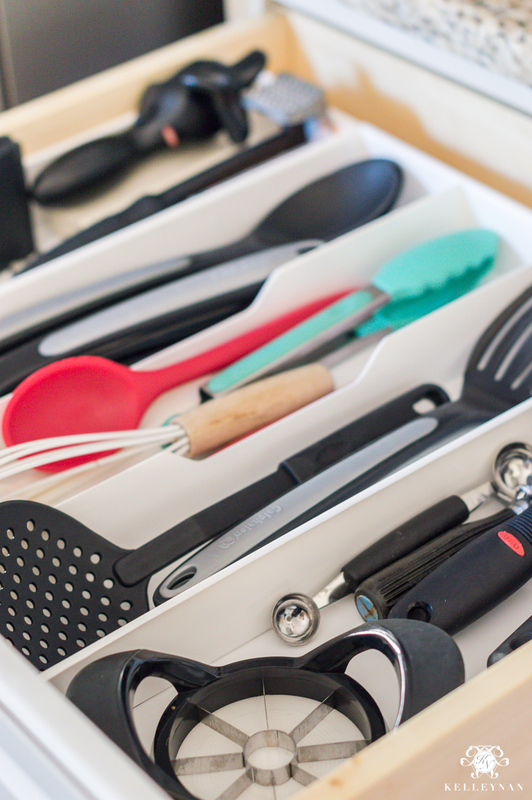 Rome wasn’t built in a day and neither were my kitchen organization solutions. After a year of spreading out my efforts and zoning tasks by categories, I finally finished. And, I’m super proud (and a little surprised) to report that aside from the occasional laziness, we have kept all systems in place. 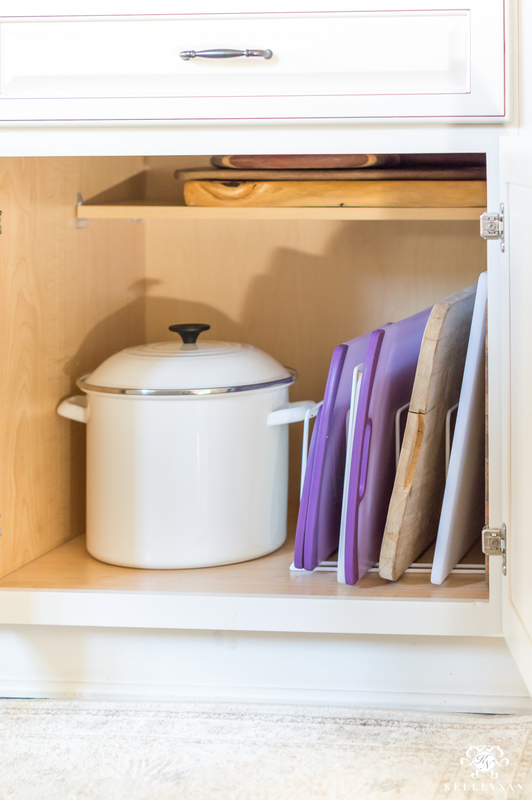 Today, I am taking a look at each post and rounding up all my organization ideas for the entire kitchen. If you missed any along the way, you can find all the links to the original posts here, all in one place. Each shares all the details, befores, afters, and challenges I was facing, along with everything I used to whip each space into shape. The cabinets were one of the most daunting “zones” and I didn’t tackle them until more recently. The biggest improvement in here was adding solutions to take advantage of those deep, dark, hard to reach spots. 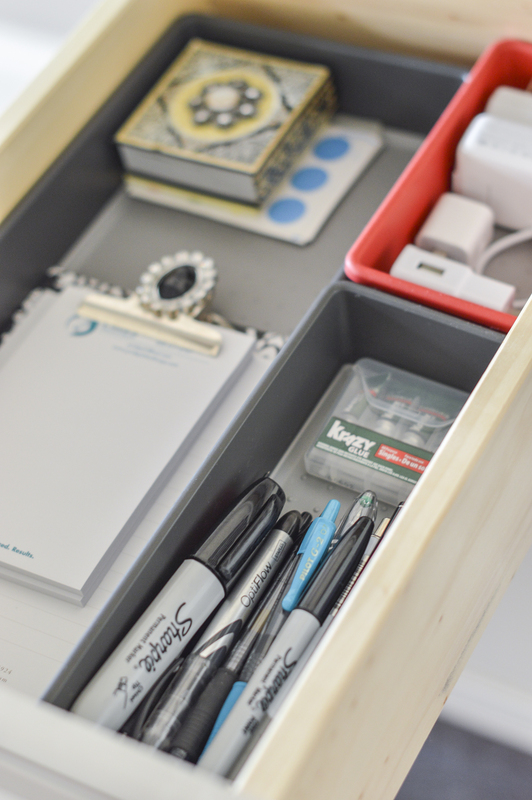 Once I had the appropriate (correct size) drawer organizers, this project was on the more simple side. 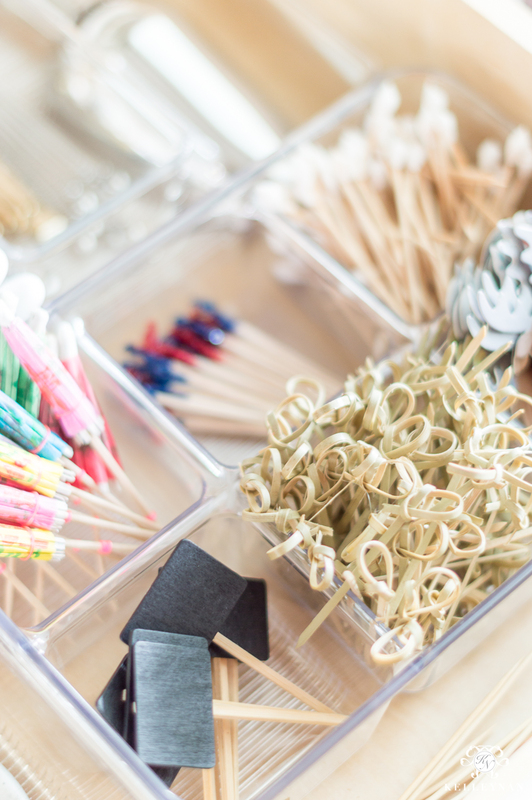 No kitchen needs 65 sets of measuring implements… I bet you may be surprised what you find when you start on these. This was one of my first areas I tackled (last year) and one of my biggest problem areas. 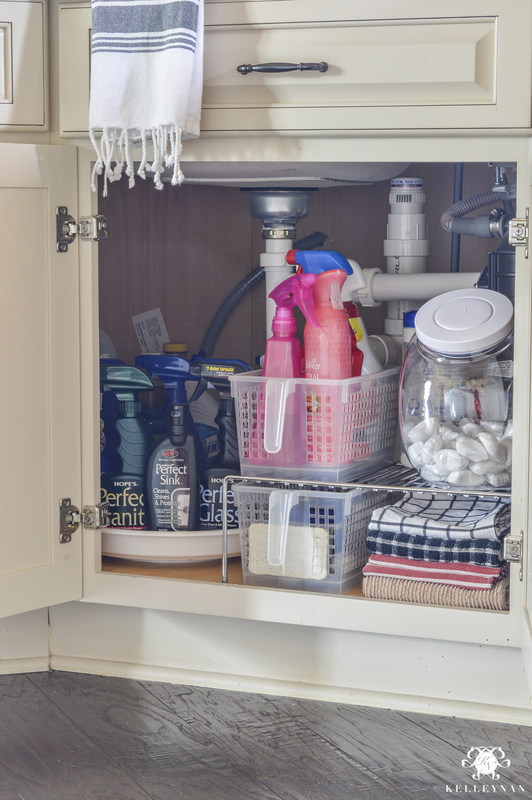 The disposal, pipes, and outlet were positioned almost directly in the middle of the cabinet, rendering so much useless space.The lazy susan and slanted POP canister for dishwashing tabs are my favorite implements in here. I tackled the fridge last year and because I took our specific needs into consideration, I have been thrilled with how well these systems have served us. All you regular readers know about our huge bowl of cut lettuce and all the leftovers we have on hand; leaving enough space for those items, we never run out of room. 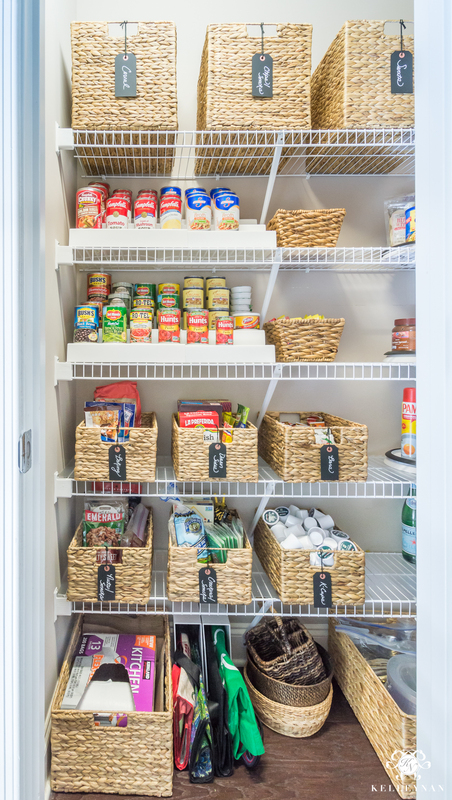 Functionality is KING when it comes to kitchen organization and our real-life solutions for our real-life refrigerator have treated us well. Our stationery desk area is reserved for all those random things – from batteries to notepads and dog medication. I’ll be honest, this is our “laziest” area that could definitely use a little clean-up 😉 We have done well keeping things to their appropriate drawers, but they have absolutely seen happier days. Welcome to the most used cabinet in our kitchen! I split this guy between spices and baking ingredients and it still functions beautifully for us today. 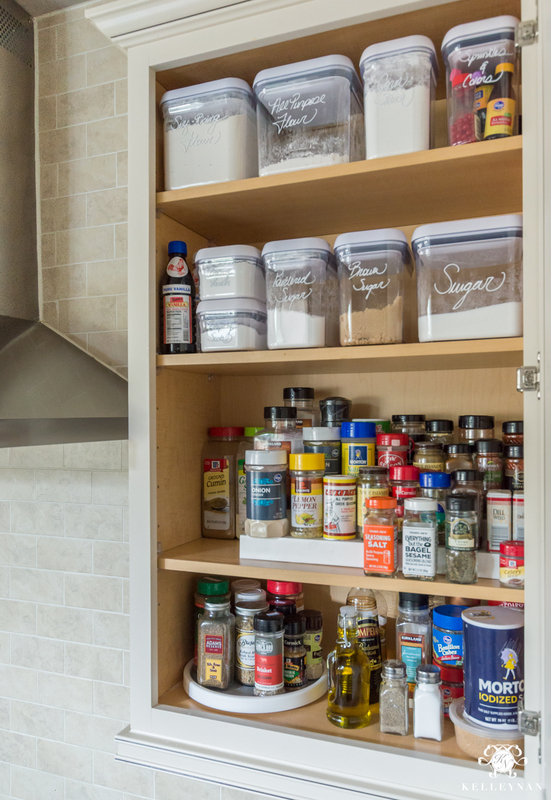 The pantry was one of my favorite organizing projects ever- if you have ever taken every single last thing out and tossed hidden gems (that expired 9 years ago – literally), you know what I mean. This area has so many different components (baskets and cans in the front, lazy susans in the corners, POP canisters to the right, door baskets, etc. ), if you missed this when it launched, it definitely deserves a visit. This little area between the kitchen and dining room was the final (and most recent) organization project. It was kind of like the land of misfit toys but when I started tackling other spaces, I was able to gradually assign homes to everything filling the drawers. 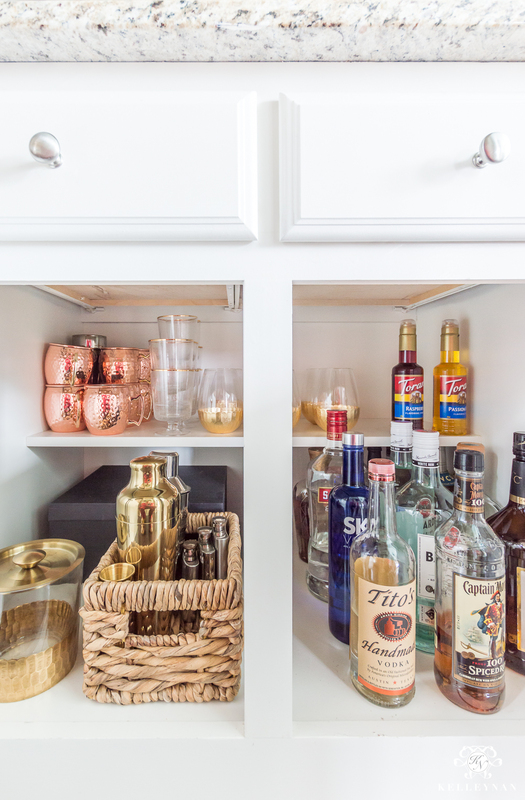 By the time I got to it, I was able to re-assign a full kitchen drawer to the butler’s pantry, forming a space fully dedicated to entertaining. 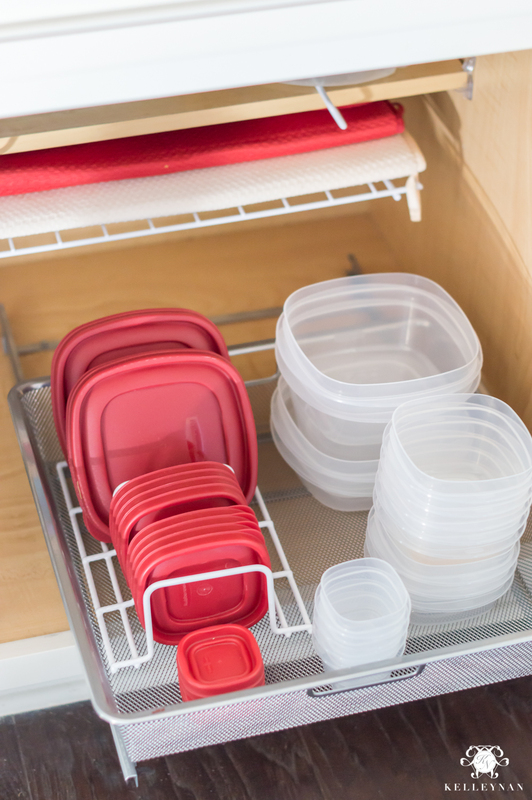 If you feel motivated now, here’s some good news- this post comes at the perfect time because right now, The Container Store is running their kitchen sale with 25% off everything kitchen/pantry. Yes, even the huge variety boxes of POP canisters (HERE) apply (woo!). 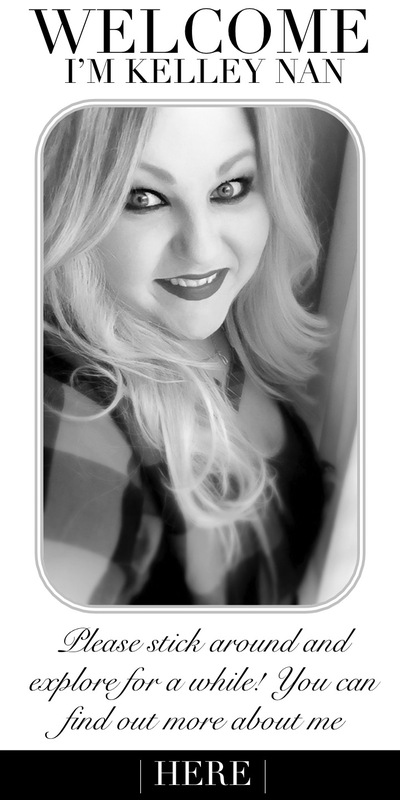 Be sure to catch all my upcoming projects by subscribing to my emails at the bottom of the post! Kelley, I love reading your blogs. You have very interesting ideas, I like the way you incorporate your items to fit your lifestyle. You have a talent for decorating and it shows in your blogs. Thank you for all your updates always looking forward to seeing them. This chore is on my list of things to do this week. My kitchen is organized but I don’t think I am using the space properly. You did a great job and gave me a few good ideas that I can implement in my kitchen. You have inspired me to organize ALL of my cabinets and closets. I’ve had a busy weekend! Thanks for all the great tips. I’m lovin the CONTAINER STORE! Roseann, that is awesome!! 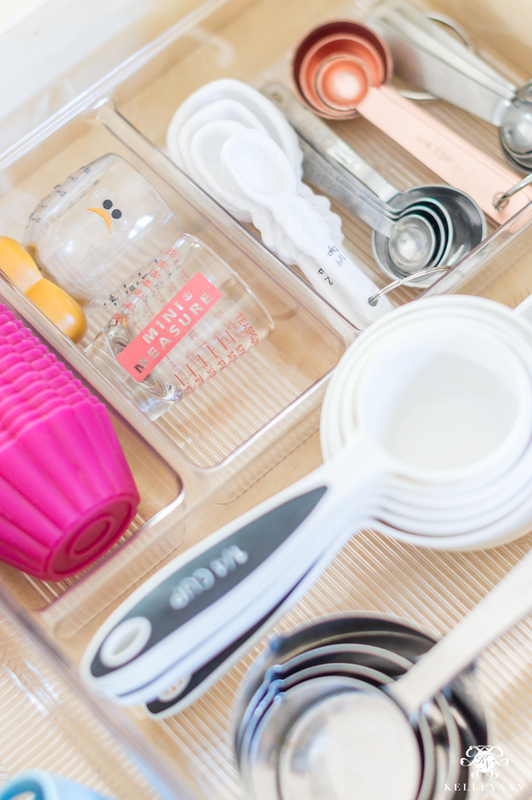 I hope you can take advantage while their kitchen stuff is on sale- happy organizing! What size pop containers do you use for cereal? 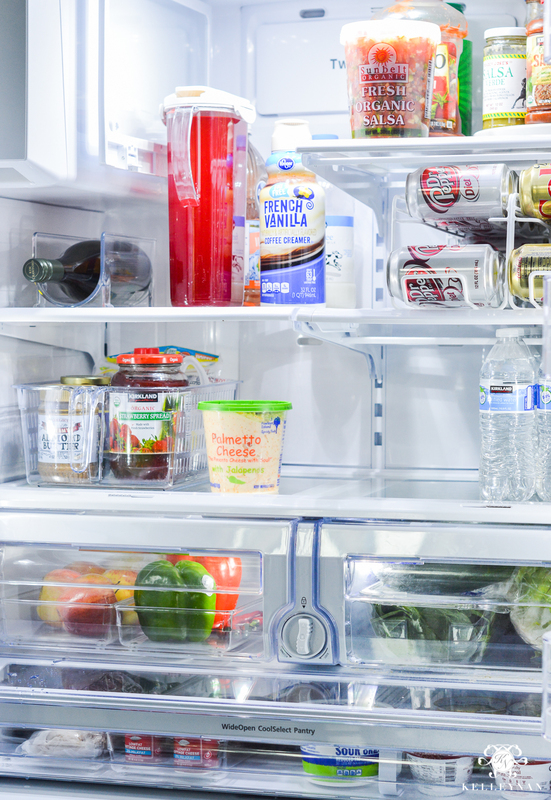 Your refrigerator organization link takes you to a different post. Love all of your ideas! I’m going to do my pantry first. Thanks for the ideas!